Looking for a unique wine tasting experience? 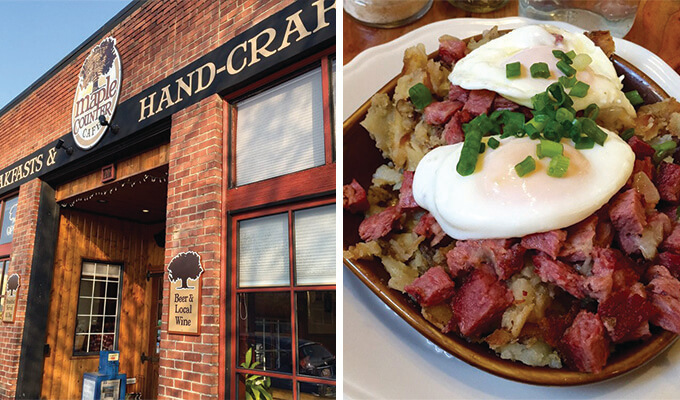 Washington Wine Country is the place for you. Located in the wine growing region of Eastern Washington, where 99% of Washington State’s award-winning grapes are grown, Washington wine country is ideal for those who want to try a wide passel of American Viticultural Areas (AVA). The region includes Yakima Valley, which was Washington’s first AVA, as well as Tri-Cities and Walla Walla Valley. We’ve compiled a list of our favorite hotels, restaurants, wineries, and activities in Washington wine country that will ensure your stay is one for the books. After a long day of wine tasting and exploring, unwind at Oxford Suites. It’s conveniently located near downtown Yakima, which offers attractions like the Yakima Valley Museum and the Capitol Theatre. Overlooking the beautiful Yakima River this hotel is conveniently located near the Yakima Greenway trail. Insider tip: If you can’t stand to leave your pooch at home, for $25 per night for up to seven nights your pet can stay with you. Upscale and comfortable, Homewood Suites by Hilton are the perfect place to bring the whole family. Enjoy all the comforts of home in a studio, one, or two bedroom suite, which include a fully equipped kitchen. 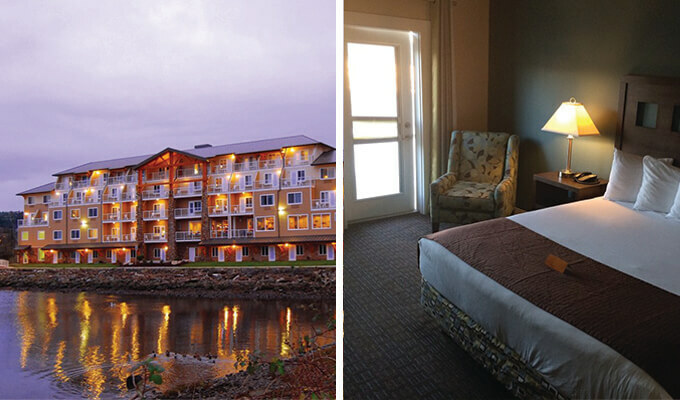 The Homewood Suites by Hilton feature breathtaking views of the Columbia River and a Tuscan-inspired clubhouse. Insider tip: Looking to make some new friends or catch up with old ones? 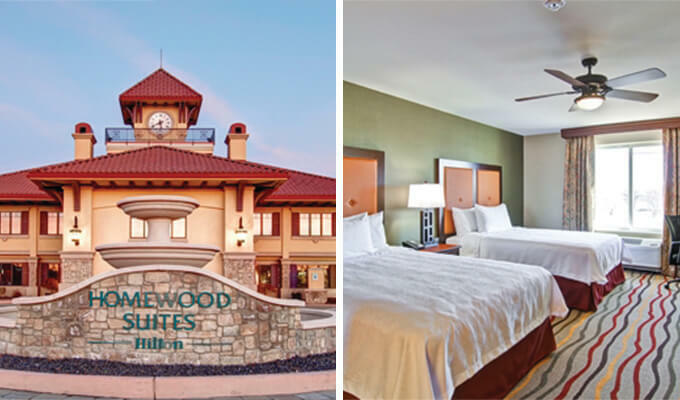 The Homewood Suites by Hilton offers a complimentary evening social Monday through Thursday. 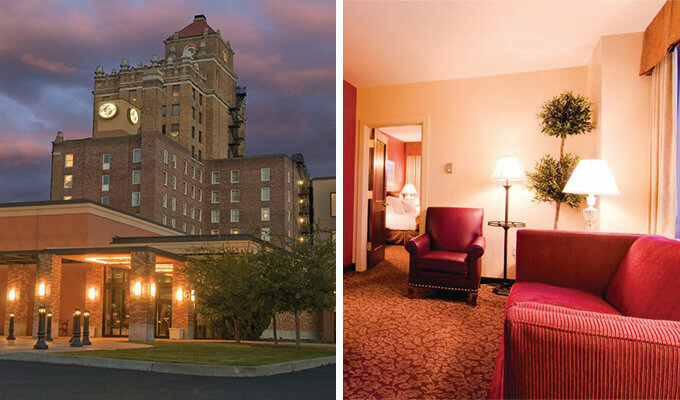 Located in downtown Walla Walla, the Marcus Whitman Hotel and Conference Center is landmark famous for it’s award winning food served at Marc Restaurant. Using Northwest-influenced cuisine with molecular gastronomic twists, this casual yet elegant dining experience is sure to make your stay a memorable one. Insider tip: Check out the six on-site tasting rooms located off the lobby. Fresh, exciting, and trendy—that is the ambiance at Wine O’Clock. Developed by the Brunell Family, this unique spot is the place to enjoy three wines created by the Brunell family, which can be paired with items from the menu, which is updated weekly. Sit by the kitchen to get a glimpse of the wood-fire oven. Insider tip: Try the limited edition 2010 Red Mountain Syrah, which pairs wonderfully with their skirt steak. After a long day of activities, sometimes having a sit-down meal is the last thing you want to do. 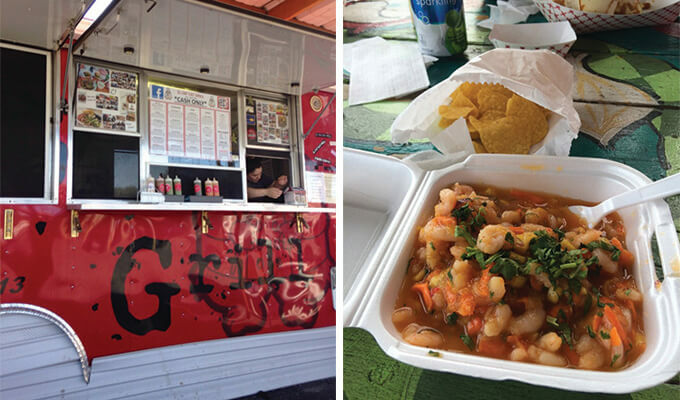 The El Fat Cat Grill food truck is a local favorite. Stationed on N. Edison Street Monday through Friday from 11 a.m. to 7 p.m. it offers delicious food at unbeatable prices. Insider tip: Pair the pork tacos with the pineapple salsa for a sweet and salty combo. Founded over 35 years ago by the Nagler family, Kory and Rachel Nagler are committed to making your dining experience memorable with unforgettable food. From the pumpkin pancakes to the to blueberry cobbler french toast, The Maple Counter Cafe goes above and beyond simple diner comfort food. Insider tip: Go for brunch and try the blueberry pomegranate mimosa. If you love sparkling wine, Treveri Cellars is a must. 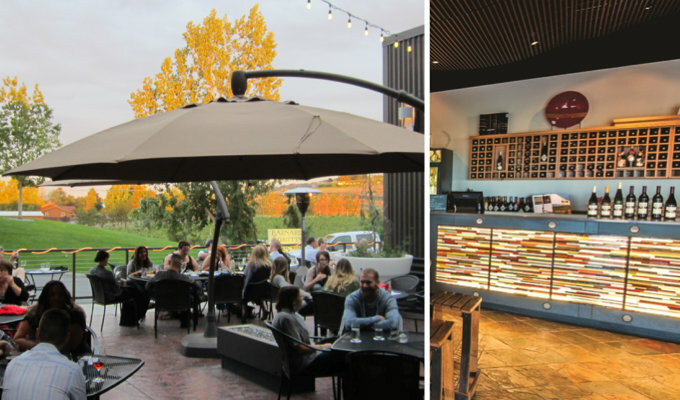 Located in Wapato, Treveri Cellars is a gorgeous building with both inside and outside seating, complete with sunny valley views on the veranda. Treveri Cellars is a family-owned sparkling wine house that produces some of the very best sparkling wine in the U.S. Insider tip: Ask the winemaker about the sparkling wines served at multiple White House State Department receptions. Located in the foothills of the Horse Heaven Hills, this unique winery overlooks the beautiful Yakima Valley. 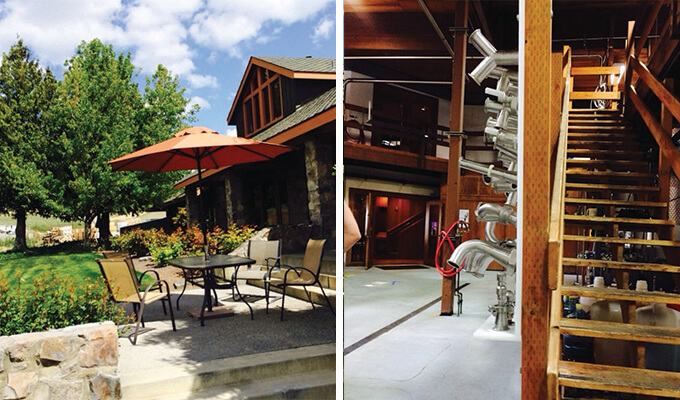 DavenLore Winery is small, charming, and full of character as evident by their rustic winery, wooden barn. Enjoy a glass of the award-winning DavenLore wine as you take in the scenic views.. Insider tip: The image of Petro, an icon inspired by a coyote who steals grape clusters from the vineyard, is found on every bottle of DavenLore Winery wine. The icon has become so popular that DavenLore Winery now gives out temporary tattoos of Petro. This family vineyard was founded in 1975, and is now over 230 estate-planted acres. Kiona Vineyards is both a vineyard and a winery, meaning they do everything from planting the seeds, bottling wine, and sending it to locations around the world. 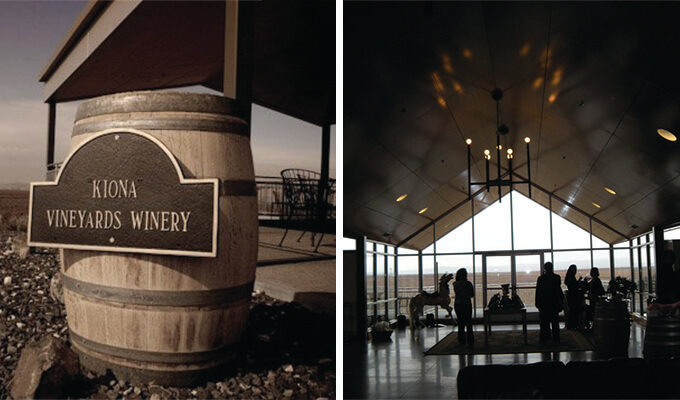 The tasting room offers panoramic views of estate vineyards and the Yakima Valley. Insider tip: Try their cult favorite Lemberger, a red wine variety most known in Austria. Located in Richland, Barnard Griffin Winery is the definition of quality, consistency, and character. This premier family-owned winery offers a carefully selected assortment of over 15 wines from the cellar. The tasting room is vibrant, spacious and comfortable. The long tasting bar features artisan glass panels blown by co-owner, Deborah Barnard. 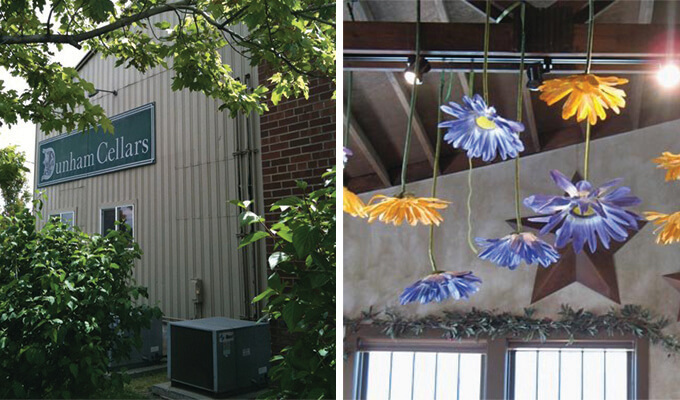 Insider tip: Make sure to check out the extraordinary on site artisan glass studio. 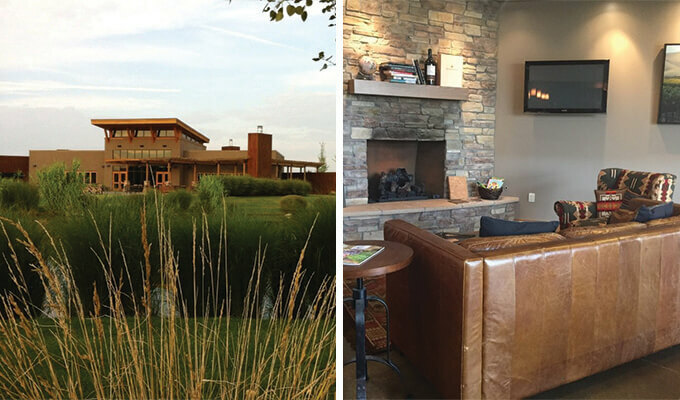 Located in Walla Walla, Waterbrook Winery features a state-of-art tasting-room with year-round events on the estate. The 187-acre estate focuses primarily on Bordeaux varieties, Chardonnay and Viognier. The dry climate and silt loam soils make it ideal for acids and sugars, which contribute to the bold wine flavors. The contemporary tasting room overlooks a large pond and the Blue Mountains. Sip your wine on the patio to enjoy the tranquil surroundings. 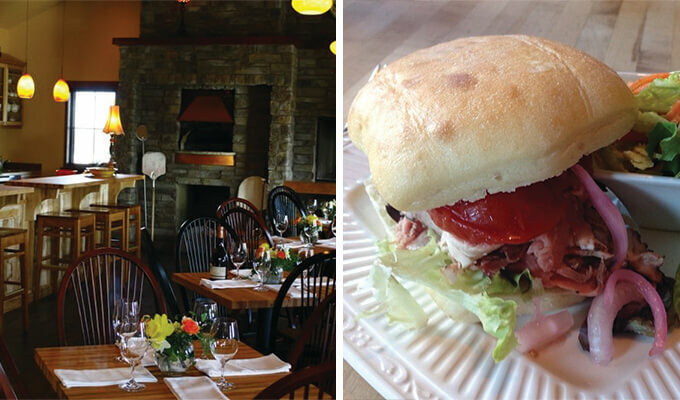 Insider tip: If you arrive with an empty stomach, Waterbrook Winery also offers filling lunches like meatballs, pork tacos, and burgers. 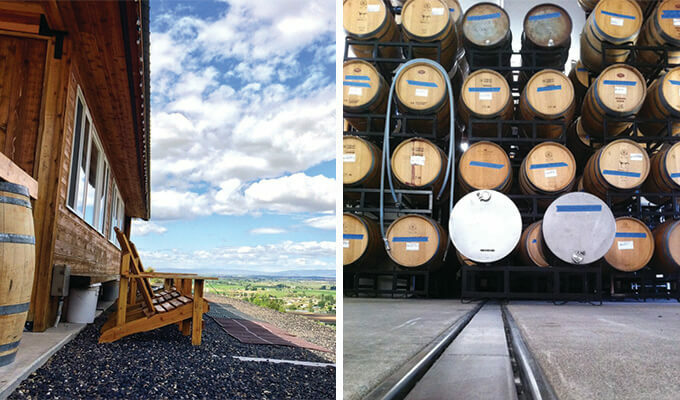 Located in Walla Walla, Dunham Cellars makes its home in a rustic, remodeled World War II era airplane hangar. Once inside, taste in the expansive tasting room amongst wine barrels. The winery uses grapes from only the finest Walla Walla vineyards and uses them to create their award-winning Cabernet Sauvignon, Syrah, Trutina, and more. Insider tip: The iced wine is fantastic, try it even if you don’t typically care for it. 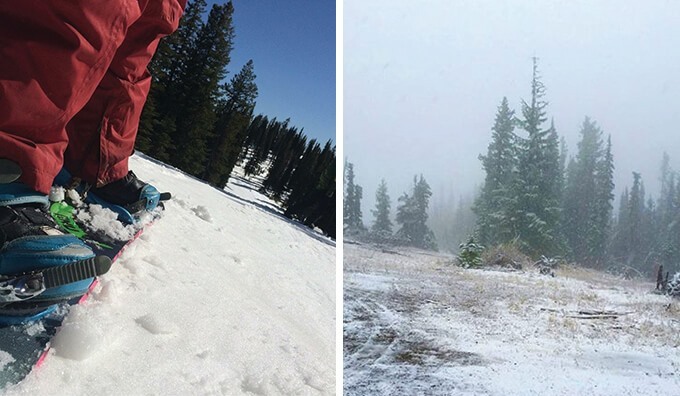 Ski Bluewood is an alpine ski area, which claims the state’s second highest base elevation at 4,545 feet. 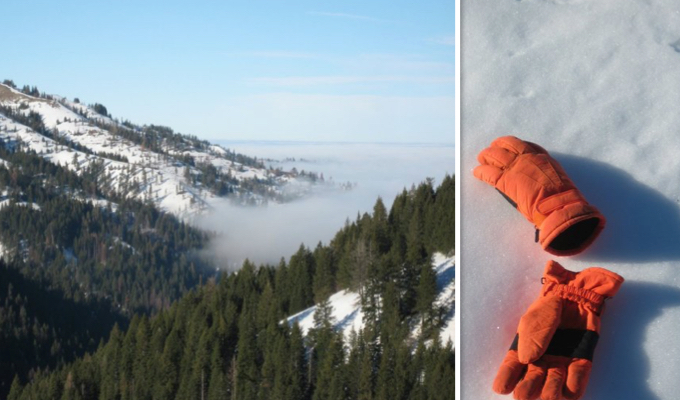 It tops out at 5,670 feet and annual snowfall averages 300 inches. If you want to mix in a little exercise and adventure on your vacation, this is the place for you. Insider tip: If you’re a fan of tree skiing, Ski Bluewood is known for their well manicured routes through the forest. For a workout and beautiful views, Blue Mountain offers over 600 acres of trails. Depending on your fitness and motivation level, hikes vary from leisurely to more advanced. Don’t miss your chance to get outside and explore the wilderness. Insider tip: Try Blue Mountain Trail, a 0.5 mile out and back trail that is good for all skill levels. 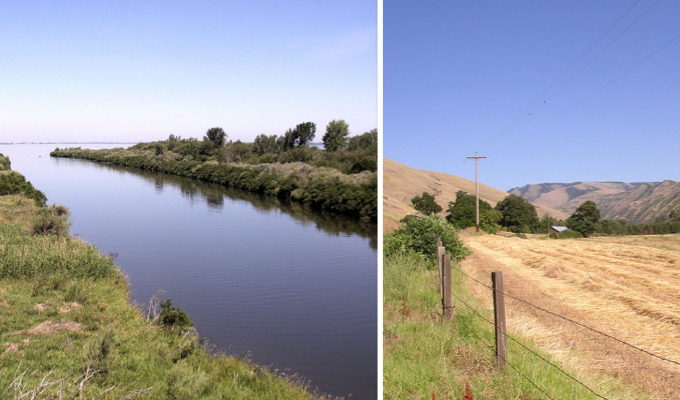 Get an up-close look at nature by going birdwatching at the beautiful Walla Walla River Delta. The delta is home to 21,000 Northern Pintails, 3,800 Green-winged Teal, 15,000 gulls, 8,000 American Wigeon, 2,500 Western Sandpipers, thousands of Vaux’s Swifts in migration, and much more. The Walla Walla River Delta and McNary National Wildlife Refuge is one of the hottest birding spots in Eastern Washington. Insider tip: Keep an eye out for local pests, like rattlesnakes and yellow jackets. Washington Wine Country is beautiful, and offers a combination of great wineries, restaurants, hotels, and activities.